Sun's Out, Guns Out: 5 Crucial Arm-Training Tips And Workouts! It's time for a summer gun upgrade. Heed these 5 foolproof tips and try the accompanying workouts to build a set of cut and jacked arms! With the sizzling summer sun now high in the sky, it's time to rip off your sleeves, soak up some sweet rays, and exercise your right to bare arms! Of course, it's more fun to exercise that right if your armaments are more like glistening cannons than shrimpy pistols, and that's where we come in. If you still need to add some bulk to your biceps and chisel your triceps, you're in the right place. Heed this expert advice from the BodySpace community and try these killer workouts to win the summertime arms race! Depending on your program and fitness level, it's possible that overworking your arms may be causing more harm than good. 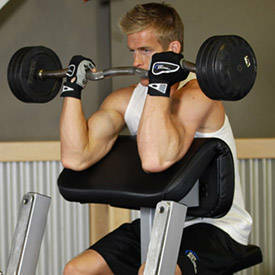 In fact, training your arms too much can actually lead to similarly underwhelming results as training them too little. When it comes to building his arms, physique competitor Ed Honn embraces the axiom "less is more," which implies that working on something with less frequency can actually—in some cases, such as this—benefit you more. 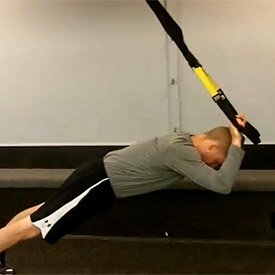 Ed explains, "Don't overwork your arms! Remember that they are used as assisting muscle groups in most compound exercises, such as seated rows, for instance, so one dedicated arm day is enough for most seasoned lifters." To get the most out of his arm workouts, Honn ensures that he works through a variety of different rep ranges. 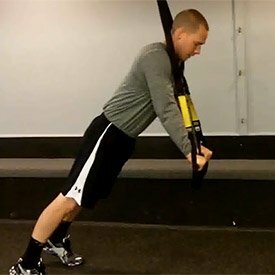 He says, "I am a fan of classic exercises and maintaining athletic body cues—chest up, knees slightly bent, and elbows at my sides. As you see in the workout below, I start with chin-ups and dips because I feel nothing beats the basics for tried-and-true arm growth." Ed also makes sure to attack his arm workouts like he does all his other muscle groups: First, he signals them to grow through challenging weights and varying rep schemes, and then he finishes off his workout with a monster pump. Physique competitor and fitness model Jimmy Everett's primary advice for biceps exercises is to pick a weight that's challenging but doable in a specific rep range. 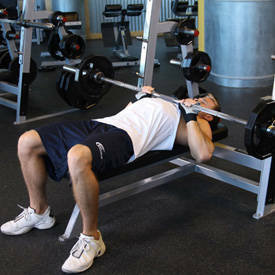 Usually, this is a weight that allows you to hit every rep in a slow and controlled manner, not in a herky-jerky way. "Total control ensures you keep good form and control throughout an exercise," Everett explains. This could mean dropping the weight—and your ego—on dumbbell biceps curls, for example, to ensure quality muscle contraction, but the trade will allow you to target your arms more directly for better results. Everett also advises you to think of consciously squeezing your biceps at the top of each rep in order to really get the blood moving into the biceps peak. 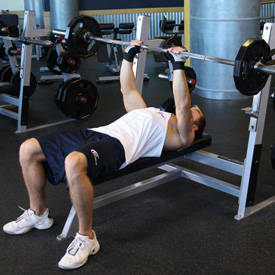 "Be sure that you also stay under control the entire time, never letting the weight just drop back down after the rep. Instead, lower it slowly every time," he says. 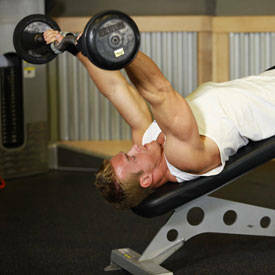 First 7 reps from waist to chest, second 7 reps from chest to chin, last 7 reps full range, with no rest in between each. In contrast to Ed Honn's minimalist approach, fitness model Jesse Hobbs trains his arms quite frequently, but he uses relatively low volume to keep himself from burning out. His technique differs from Honn's "less is more" tactic, but it's a nice alternative if you've been following that line of training though for quite a while. Instead of blowing out his arms one day per week, Hobbs adds arm exercises to his other upper-body days and then blows them out. "This allows me to train my biceps and triceps twice per week each," he says. "On Tuesdays, I train chest with triceps, and on Wednesday, back and biceps. 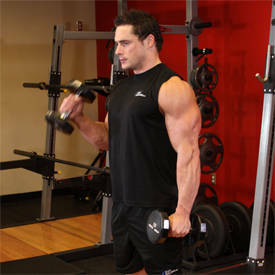 Then on Saturday, I come back and hit biceps and triceps again for an arm day on its own." Hobbs recommends that you always give your arms as much rest as possible after training them, to maximize recovery and help them grow, which means no extracurricular work like mowing the lawn or playing basketball afterward. "Another thing I'd recommend is that if you start to feel weaker toward the end of your arm workout, train that lagging muscle with more emphasis to prioritize growth," says Hobbs. "At the end of your sets, if you feel like you could get a few extra reps in there, start pumping them out to get that muscle full of blood." Pyramid up for three sets (starting from the bar weight) and then pyramid down for three sets. When she needs to sculpt her summer arms, Danielle Beausoleil likes to do what she refers to as a "gun run," and it's just as much fun and work as it sounds. 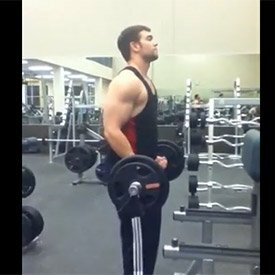 It entails training her biceps and triceps with dropsets—a technique in which you hit failure, immediately drop to a lighter weight, and then rep to failure again—to create a full, round, and aesthetically pleasing look. "Try using dropsets to burn out your biceps and triceps, as this will really provide you with a satisfying pump that everyone loves during arm days," she recommends. Beausoleil also suggests supersetting—hitting exercises back-to-back, without rest—biceps with triceps to reduce the amount of rest between sets, which allows you to do more work in less time and burn a significant number of calories. Danielle works hard to build her guns. "Don't cheat," she warns. "Make sure that you are completing the full range of motion during your reps."
According to WBFF Pro Eiren Gauley, the secret sauce to solid guns is to contract your muscles as hard as possible at the peak of every rep. During his workouts, Gauley always fires during the concentric (raising) part of each exercise, squeezes like hell at the top, and then slows down the eccentric (lowering) portion. 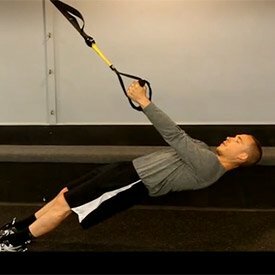 In this way, Gauley maximizes control and tension placed on his muscles, squeezing every bit of effort from his muscle fibers out of each rep. Gauley knows that if he simply rushed through the move, he wouldn't reap the full benefits. Gauley is also a fan of chin-ups and bodyweight dips, as they build a solid foundation for a good arm routine. 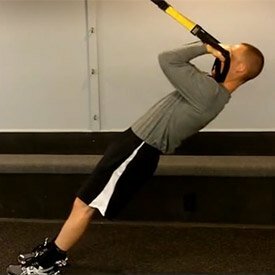 If you cannot yet perform a chin-up and bodyweight dip perfectly, he recommends that you work on those first before doing any other exercises. 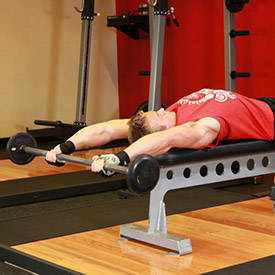 Perform with both arms rather than alternating arms. 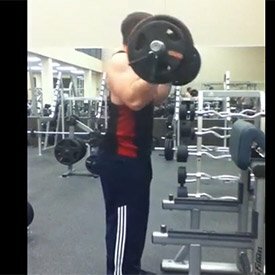 Get as many skullcrushers using proper form as possible, and then switch to presses until failure.